Converse just launched a collection of its popular shoes with emblematic Marimekko patterns. The collection, entitled “Converse ? Marimekko” will feature the following vibrant designs: “Tarha” and “Pikkusuomu” by Annika Rimala, and “Kirppu” by Maija and Kristina Isola. “We are excited about partnering with such an inspiring and iconic company as Converse. This enriching collaboration brings together two brands that both have a distinctive idiom and a unique heritage. The two companies have always walked their own path, and we also share the same unpretentious and joyful approach to life. 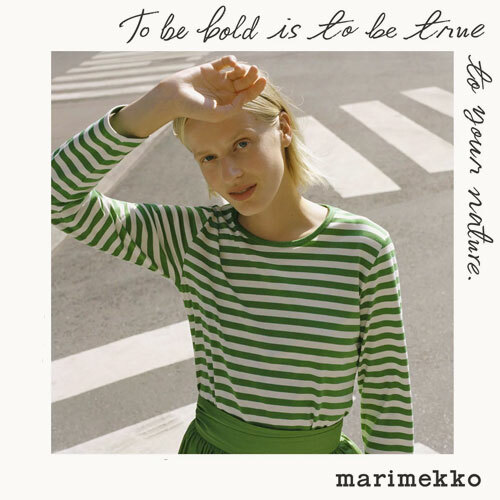 We hope that this positive attitude will be transmitted to the people who will be sporting the Converses in the vibrant Marimekko designs,” says Minna Kemell-Kutvonen, Creative Director of Marimekko. The shoes will be sold globally from February 2011 onwards at selected Converse and Marimekko stores and specialty retail. More product-specific information will be available closer to the launch date. Click here to view a short movie about the collaboration between Marimekko and Converse.